Kentucky coffee tree (Gymnocladus dioicus) is a tall deciduous tree with rough, scaly gray-brown bark and large bipinnate compound leaves. The tree has an irregular open oval to obovate crown. It is from the Fabaceae family and is native to Central and eastern North America. 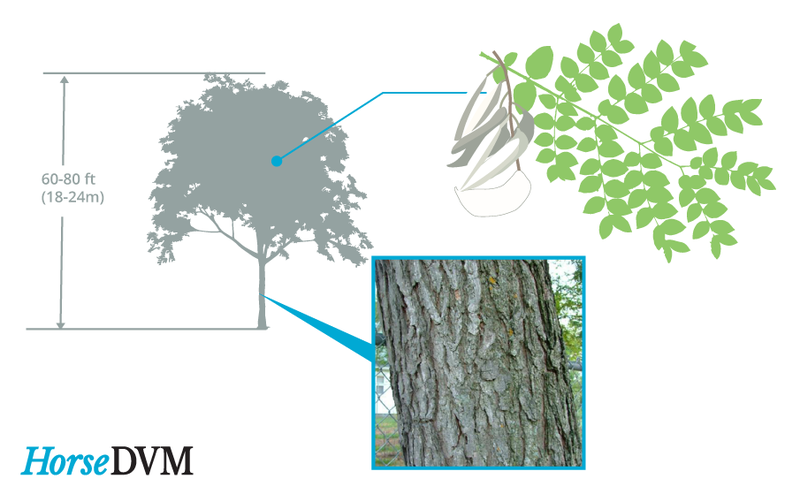 Kentucky coffee tree is most often planted as a shade tree or in rain gardens. All parts of the tree can accumulate high levels of saponins, quinolizidine alkaloids (cytisine), and hydrocyanic acid. Bark: Dark brown with roughened, scale-like ridges that present in distinct patterns. 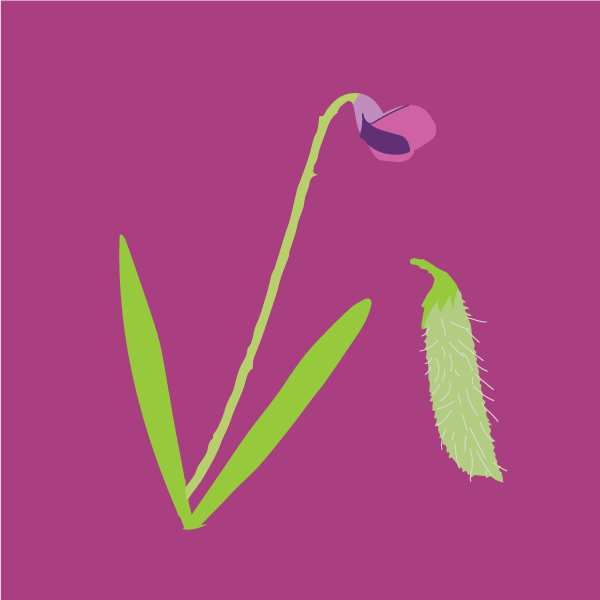 Leaves: Large leaves to 3’ long, divided into 3-7 pairs of pinnae, with individual leaflets (1-3in long). Late to leaf out in the spring, and one of the first to drop leaves in the autumn. When leaves first emerge, they are often tinged pink. The leaves turn yellow to brown, prior to falling off the tree in the fall. Flowers: Greenish-white terminal clusters which appear in late spring (May to June). Fruits:Flattened reddish-brown pods which ripen in October, often persisting on into the winter. Government of Canada Kentucky coffeetree (Common name) Canadian Biodiversity Information Facility. 2013. Kentucky Coffee Tree (Gymnocladus dioica ( L. ) Koch) UIUC Library Gateway Veterinary Medicine Library. 2009.